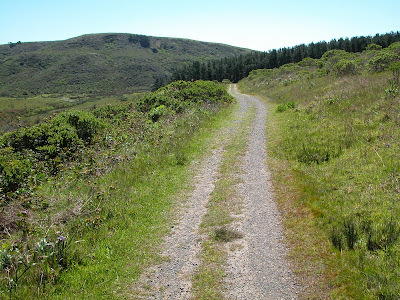 8.5 miles of sheer lonely bliss, through coastal scrub along the edge of Drakes Estero. With all the seasonal hustle and bustle, many hikers crave a little peace and quiet -- this hike delivers! Very lovely during the dry months of summer and autumn. Muddy after heavy rains. Instead of hiking out to the water's edge on Sunset Beach Trail, take Estero Trail to Drake's Head Trail and an overlook where you might spot migrating whales. Estero is hike number 12 in 60 Hikes in 60 Miles: San Francisco (third edition). Read about this hike on BAHiker. Until the rains (fingers crossed) begin and our seasonal wildflowers sprout up, those of you in the East Bay don't have much in bloom. Brighten up your day with a hike through a little oasis of manzanitas at Sobrante Ridge Open Regional Preserve, in Richmond north of San Pablo Reservoir.